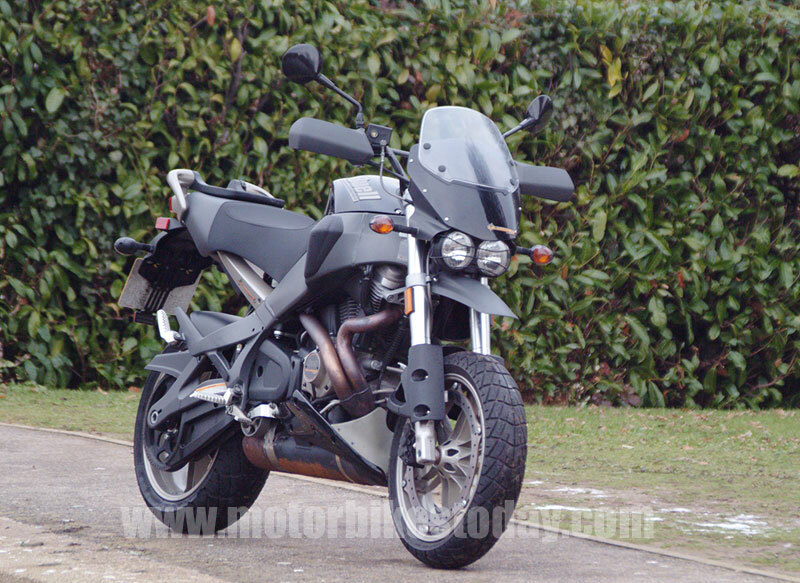 750cc water cooled 16 valve transverse four with double overhead cams and electronic fuel injection. 6 speed gearbox and chain drive. Alloy perimeter frame chassis with rigid mounted engine as a load bearing member. Fully adjustable front forks and monoshock rear. Dual front discs with Brembo monobloc 4 piston radial calipers and radial master cylinder. Single rear disc brake. 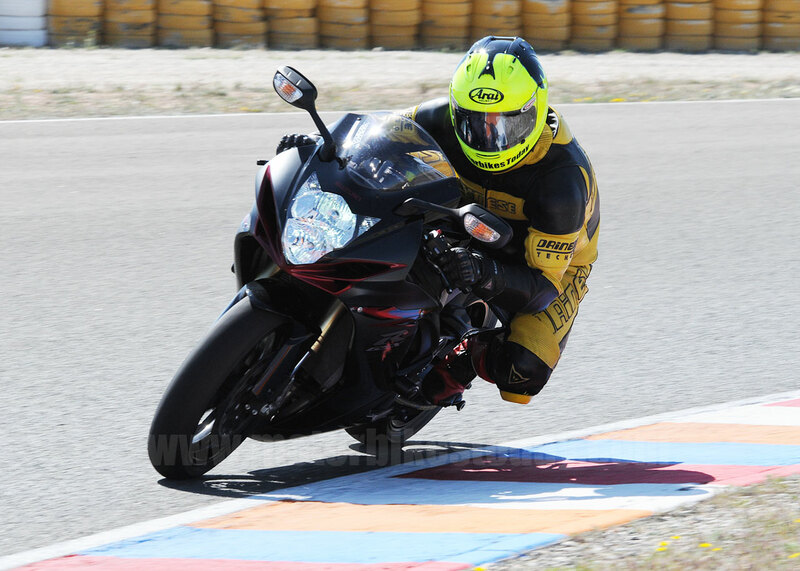 Almeria in Southern Spain is a lovely privately owned test circuit. Just about the perfect place to take a bike like this. Strights long enough to stretch its legs and enough corners to really try handling as well. 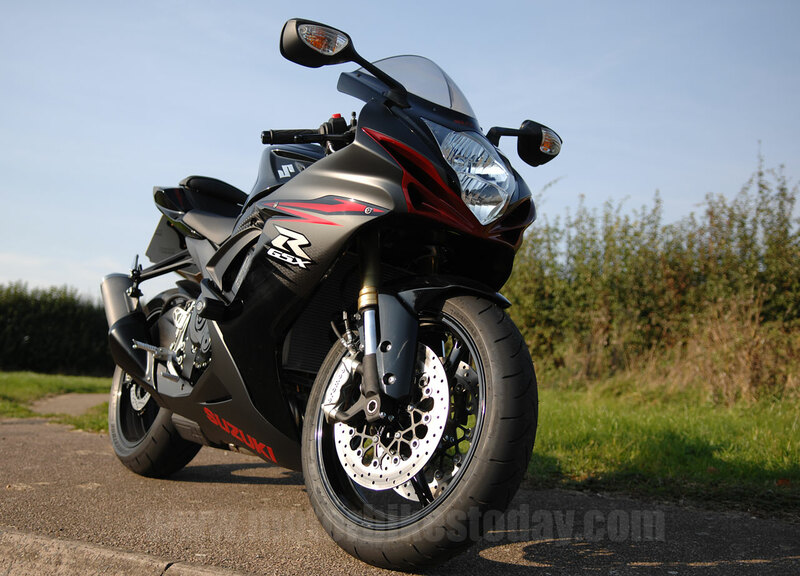 Now for reasons documented elsewhere, this particular GSX-R has only done six hundred miles. Well, it had when it got to Spain, anyway. So straight after its first service it went on a trackday, which might be a little unfair on it. the gearbox was still a bit tight and I did my best to stick to the rev limit imposed on the still new engine, though I have to admit that it may have got stretched a little. But I'm getting ahead of myself. As usual. We've looked at the bike itself already here, so there's not much more to say about it. As part of my standard fettling I'd already removed the stock steering damper and replaced it with a GPR rotary damper (reviewed here) but other than that track preparation consisted of folding the mirrors in and dropping the tyre pressures after the first session. Personally I run the tyres at thirty six PSI at each end when hot, which seems to work quite well. Despite what many magazines will tell you, I left the suspension on stock settings front and rear. Unless you're a top flight racer (and I'm not any more) then in truth you're unlikely to push hard enough to warrant any serious fiddling. So. I was new to Almeria and having endured a lengthy layoff from riding was feeling distinctly rusty. The five lap guided tour at the beginning was extremely useful, and by the end I was able to go quickly enough to at least get some decent heat in the tyres. Cue a quick visit to the pits to adjust pressures and have a quick check over. Nothing leaking or looking strained, and my initial notes say that the OE tyres felt fine from the off, though much better when the pressures had been reduced and that the gearbox, especially changing from fourth to fifth on the back straight, was a little stiff and balky. In fairness I think that was as much me as the box, and either way the problem went away as the test progressed. Getting on with things, mirrors folded in and a swift half a dozen laps with an instructor to hasten my learning the best lines around the quite technical track saw the Suzuki starting to come into its own. Almeria is almost two distinct tracks. There's a long straight with a tight chicane in the middle of it and long sweeping bends at each end. And there's the back section where the bike is hardly ever going in a straight line and is frequently cranked right over. So let's take a lap, shall we? We cross the start/finish line at around a hundred and twenty and immediately drop slightly downhill, passing the pitlane exit about fifty metres later. Hard over to the left, braking smoothly and peeling into a long right hander that climbs toward the exit. 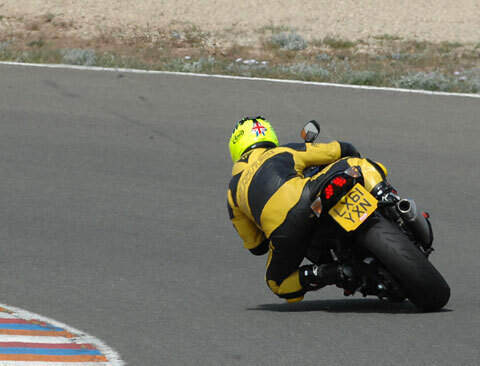 The bike is completely stable and transitions smoothly from braking to turning. Keep over to the left exiting the corner and accelerate, leaving my body over to the right in preparation for the track dropping down and right. Turn in very lateand make a wide arc. Again the bike is stable and shows no sign of pushing the front. It doesn't mind accelerating while I'm still partly hanging off either. Next comes a left hander that goes on forever. There seem to be lots of lines around here. I tend to go in deep and then make a constant radius, apexing very late and almost immediately flicking right for the next corner as we climb back uphill again. Utterly stable and plenty of grip, though later in the day when it was very hot this was one place I felt the back starting to move around. The next right climbs and then drops away and the latter part is blind. It's also easy to lose the front as you're still cranked over when you go over the crest of the rise. Braking, chopping the throttle and even going offline to make a sneaky pass failed to disrupt things at all. Next is a sharp left which is followed by a twenty metre or so straight and an open chicane. The left of this chicane has a dip in the middle, and this caused me my only real problem as I lost a toe slider going through there, much to my annoyance. The bike was fine, though it could be provoked into a bit of a slide if I really pushed it. A long gentle left, again over a rise, leads into a very sharp chicane which in turn leads straight into a long right hander. The chicane can be straightlined. 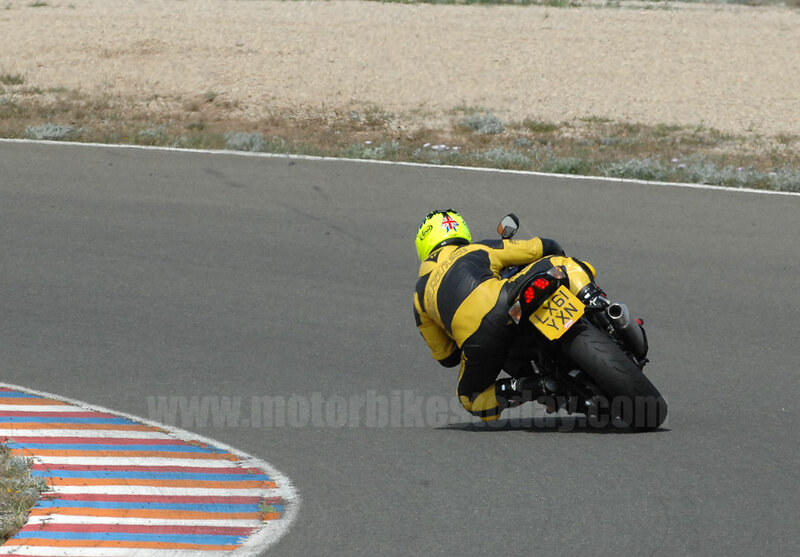 The GSX-R doesn't mind if you ride the kerbs and I didn't experience any pad knock afterwards. Exiting the long right it's a case of accelerating as hard and as early as possible. Up against a couple of other GSX-Rs from different generations I was able to show that the current bike just has the edge here, but there's really not much in it. Now we have a half mile or so of straight. Slightly uphill, good drive out of the last corner can see the GSX-R hitting an indicated hundred and fifty miles per hour before hitting the brakes for a really sharp and rather unforgiving chicane which leads onto the start finish straight to do it all again. The end of the straight is one of the safest places to pass riders on faster bikes who may not be so good in corners, but it requires good brakes and a well poised chassis, because apart from anyting else there's a good chance of being in the wrong place on the track at this stage. 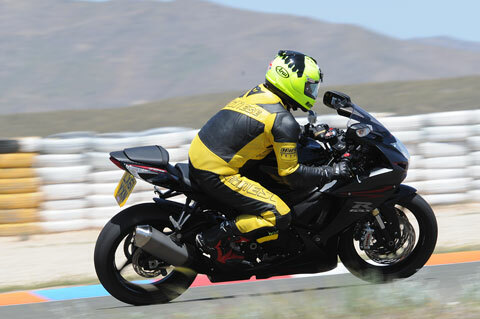 Happily the GSX-R fits the bill. The brakes are excellent, being easily able to elevate the back wheel at stupid speeds should you so wish but blessed with sufficient feel as to make that unlikely if you don't want it to happen. Certainly they inspire confidence, which sets up well for the next lap. After over two hundred and fifty miles on track over two days I can confidently report that the current GSX-R 750 is an outstandingly capable track bike straight out of the box. The adjustable steering damper I'd fitted was entirely surplus to requirements. Even when the front did come up under hard acceleration it remained completely under control and didn't even need me to back off the throttle. The standard equipment Bridgestone BT016 tyres were unreasonably good, offering bags of grip and plenty of warning before even feeling as though they might let go. Astonishingly, though clearly well used they were still legal and perfectly acceptable for road use after this abuse. I reckon there's another couple of thousand road miles on 'em yet. There's plenty of power from the revvy, responsive engine, with more to come as the miles go on it I think. Throttle response is outstanding and there's no driveline shunt or any other nastiness to upset things. The brakes, as I've mentioned before, are sublime, and the suspension, especially the Big Piston Forks, is little short of a revelation. The levels of ride control from stock units would have been unheard of a few years ago. If I had to change anything, I'd make it easier to remove road fripperies like mirrors and number plate and I'd fit a quickshifter. There's a laptimer fitted as standard but I never touched it. So in short I am very happy to confirm that yes, if you have a current Suzuki GSX-R 750 then you can indeed Own the Racetrack. I'm sure you probably can with just about any other sportsbike as well, but the 750 remains, to me, the perfect combination of power and agility. If I had to choose a bike to ride in anger then this would be it, every time.